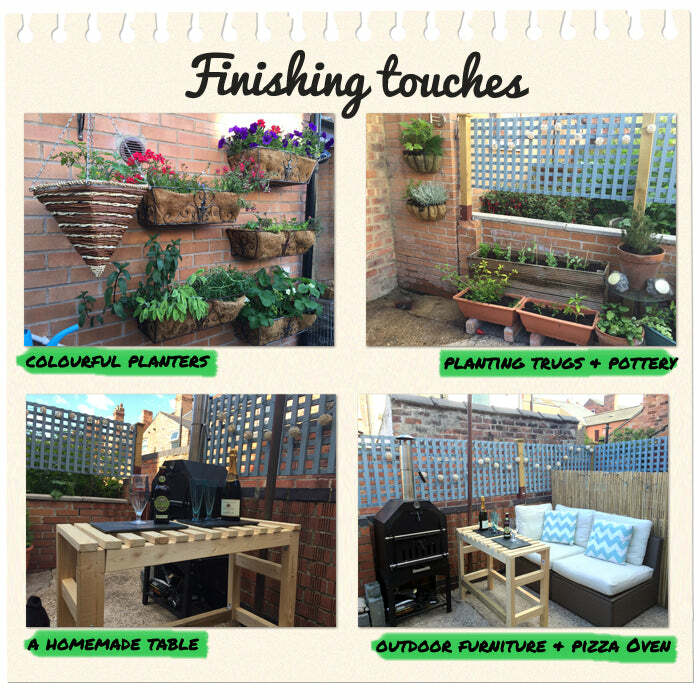 Discover how Gemma, 29 from Nottingham transformed her unloved concrete space into a bright, relaxing, urban retreat. Gemma and Mike both work full time and run their own printing business, so doing up their garden was at the bottom of their priority list. They craved an outdoor space where they could spend time soaking up the sun and relaxing in the evenings and in March the couple decided to give their garden the TLC it needed. “Our garden was missing privacy and colour so we knew that one of the first things we would do was to add fencing to top off the low wall. After that we thought about building something to cover up the unsightly bins and add planters and climbers to enable us to grow fresh herbs and nice bright flowers. “Don’t bite off more than you can chew, write down exactly what you want from your garden and have a browse around to see what you will need and how much it will cost. 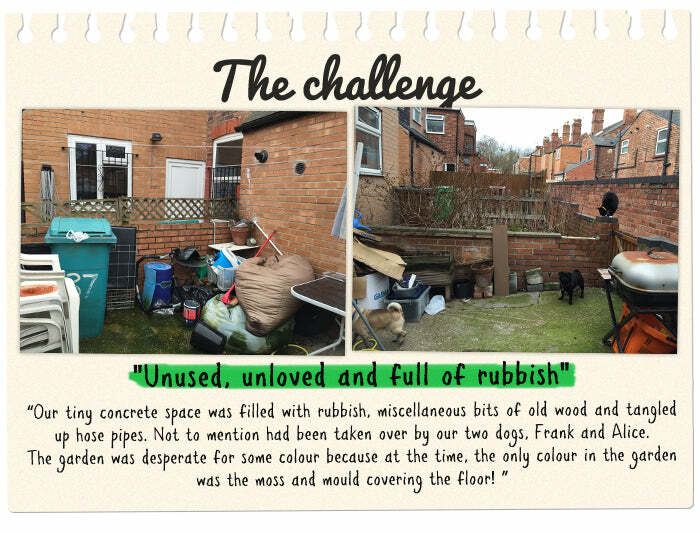 The first day we spent clearing the garden of all the rubbish and made a pile of bits and bobs to salvage. I think we ended up doing at least four tip runs! 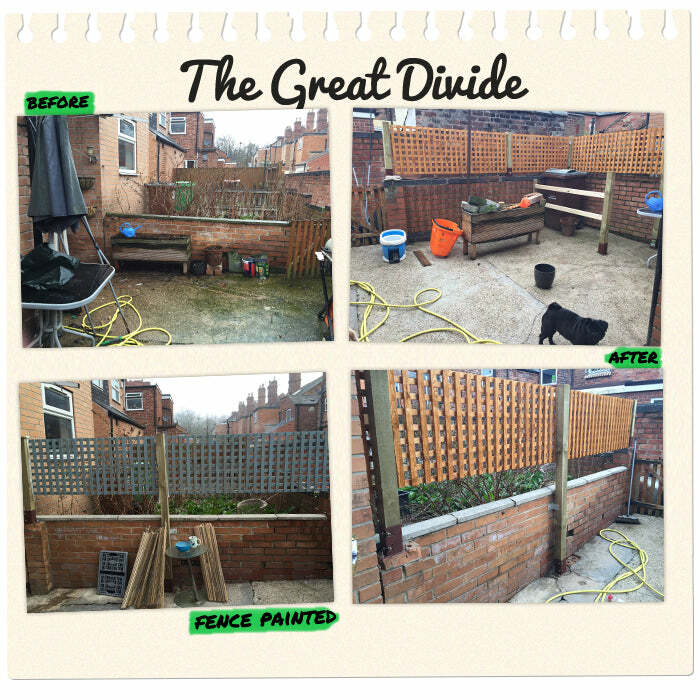 “It took about a day to install the fence panels and we did it whilst it was pouring down with rain which made it a little difficult to do. Gemma’s top tips for installing garden fencing: Measure your space accurately and don’t forget to factor in posts and anchors to your costing. “To finish off the garden we bought a few hanging baskets and hung planters on the fence and walls for herbs and other plants. 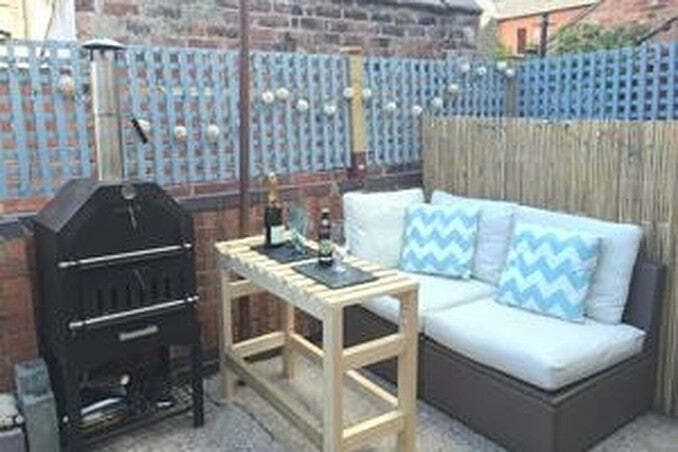 We also invested in some new garden furniture and built a new table out of some re-cycled wood. 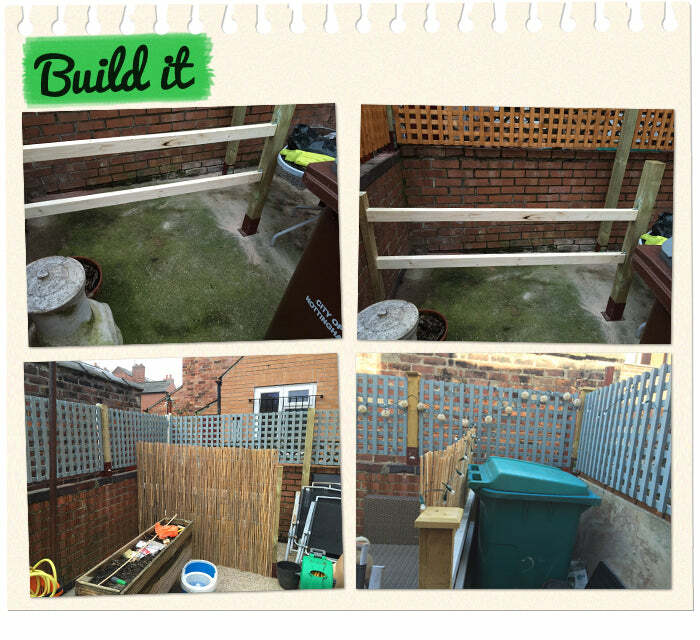 "We love the finished project, it is no longer the damp and dreary outdoor space. It's now our garden where we spend time together in the evenings and soak up the sun at weekends. Frank and Alice are starting to get used to it too!" Are you planning a garden makeover? Send us your project pics either via email to websales@waltons.co.uk or via our social media channels. Facebook, Twitter, Google +, Pinterest, Instagram. My Garden Makeover by Waltons Web Ltd is licensed under a Creative Commons Attribution-NonCommercial-ShareAlike 4.0 International License. Based on a work at https://www.waltons.co.uk/.